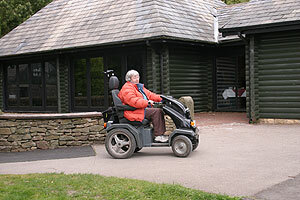 Walking and Cycling at Broadgate Farm B & B and Caravan Site. If you want a walking holiday, at Bleasdale you will have the best of all worlds nestling, against the high fells of the Forest of Bowland but looking out across the Fylde plain, whatever type of walk you would like we have on our doorstep, or a short drive away. From challenging high moorland routes to gentle strolls along leafy lanes and across meadows. Forest of Bowland - High moorland deep dramatic wooded valleys, and splendid riverside walks plus attractive villages the Forest of Bowland has everything. With many well marked and maintained footpaths you will never be stuck for somewhere to go walking on your holiday. Beacon Fell Country Park - The summit is 266 metres (873 feet) The Country Park consists of 110 hectares (271 acres) of woodland, moorland and farmland. If you are here for a walking holiday this would be the perfect place to start. Beacon Fell is also the start point for the Brock Valley Nature Trail a pleasant riverside circular walk through rich woodland with many interesting species of trees and plants. The Tramper is a specially designed four wheel drive all-terrain electric buggy which can be used off road and even on rough ground, mud and grass. Our corner of Lancashire is the perfect base for a cycling holiday with leisurely rides to challenging mountain biking and everything inbetween. Beacon Fell Country Park - Locally there are quiet lanes back roads, tracks and bridle ways a aplenty. 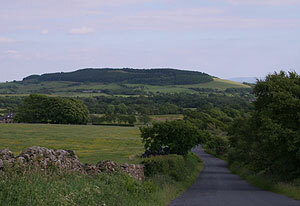 On Beacon Fell there is a short mountain bike trail which offers attractive cycling against a stunning backdrop of Fair Snape Fell and Parlick Hill. Gisburn Forest - Gisburn Forest offers more straightforward mountain biking. Enjoy the extensive network of mountain bike trails through Gisburn Forest, an upland forest managed by Forest Enterprise, on the edge of Stocks Reservoir. 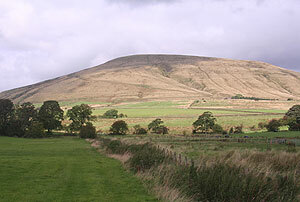 Moorland Passes - The Trough of Bowland: (on-road) a narrow pass between steep sided hills. Hornby Road - (off-road) rough moorland track linking Slaidburn with Hornby in the Lune Valley. Cross of Greet Pass, Lythe Fell - (on-road) from Slaidburn into the upper reaches of the Hodder Valley to the Cross of Greet, a remote moorland pass then down into Bentham, across open moors with long distance views. Bowland Knotts Pass (on-road) - Ride up from Gisburn Forest on the most minor of minor roads to the Bowland Knotts Pass. Continue down into Clapham with views over to the Three Peaks. Cycle hire plus guided tours are available from www.cycle-adventure.co.uk. Gisburn Forest, an upland forest managed by Forest Enterprise, on the edge of Stocks Reservoir. Eextensive network of mountain bike trails. Plenty of parking. Quiet country lanes for gentle walks. The surrounding fells offer more challenging walks. 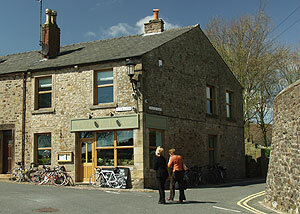 The Cobbled Corner Cafe, Chipping, popular with cyclists and walkers. 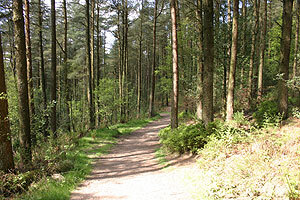 Follow the trails through Beacon Fell Country Park.